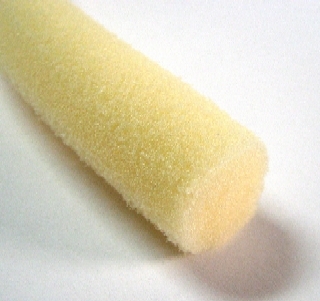 PRODUCT: 7/8" DIAMETER FOAM BACKER ROD, OPEN CELL, YELLOW COLOR. MEETS ASTM D5249, C1330 D1056. 100 FEET/BAG. PRICE/BAG. (UPS Shipment only). 7/8 in. DIAMETER HOT ROD XL BACKER ROD, CROSS-LINKED CLOSED CELL, FOR HOT POUR. 850 FEET/CARTON. PRICE/CARTON. (UPS shipment only, special freight available on quantity purchases).